Come to Our Gatherings and Share the Passion! 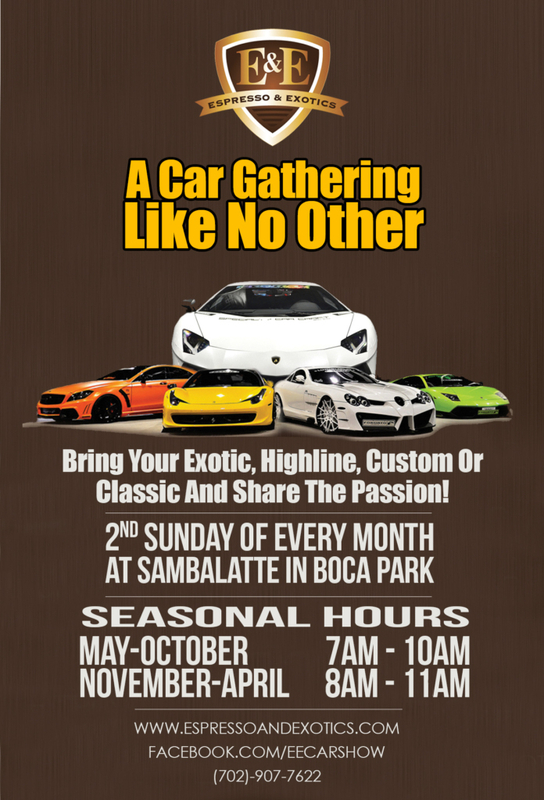 Please join us at the Las Vegas, Nevada Location of Espresso and Exotics (TM) on the 2nd Sunday of Every Month! the country. Please contact us to bring this amazing event to your area.